We all want a comfortable home where family and friends can connect, relax and enjoy spending time with one another. So how do you create the look everyone will love to come home to? One that captures your own unique personal style. For 6 decades, Stange's has helped your neighbors create warm welcoming homes that reflect individual personalities and tastes. "We've met a lot of interesting people over the years," says Liz Stange. "Everyone has different life experiences and goals and every home has unique design challenges. 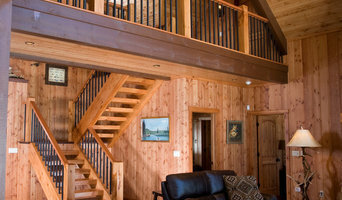 Bring us your thoughts and ideas we'll set off with you on an exciting creative journey toward your dream home. Along the way we'll provide focus, inspiration and a sense of adventure." Creating unique ornamental metal work projects that are both functional and beautiful has been Benson Designs’ focus since 1996. Jeff Benson collaborates with home and business owners to create one of a kind projects that reflect their personality and style. Having decades of experience as an Artist Blacksmith is what truly differentiates Jeff Benson’s work from metal fabricators. The ability to forge hot metal into graceful yet strong shapes allows for truly unique designs. Close attention to details and concerns during the design, production and installation processes assures clients' genuine satisfaction at the end of each project. If what you desire can’t be found in a catalog, let Jeff Benson work with you to create high quality balustrades, railings and staircases; and heirloom quality furniture, sculpture and accessories. Welcome to the Williamsburg House. We specialize in high quality reproduction furniture from the finest manufacturers across the country. Our goal is to provide each customer a personalized selection experience with the assistance of the dedicated designers on our sales staff. From living rooms to bedrooms and all the living spaces between, you will find fine furnishings and accessories that fit your lifestyle. Visit Williamsburg House and discover unique treasures destined to become family heirlooms. At August Haven we are proud to offer a unique collection of urban contemporary, vintage and antique home furnishings and accessories. It is our goal to inspire, surprise and delight our customers with one-of-a-kind items that have everyday purpose. Exceptional quality, an eclectic collection and impeccable customer service are the founding principles we live by in order to help our clients create interiors they absolutely love to come home to. Urban Evolutions, Inc. has 20 years of experience in collaborative material design using both new and reclaimed materials for retail, residential, hospitality and commercial projects. We specialize in reclaimed materials, sourced from old world, quality constructed spaces. We also offer an expanding supply of new wood and engineered products that allow us to meet all of our customer’s wood needs. 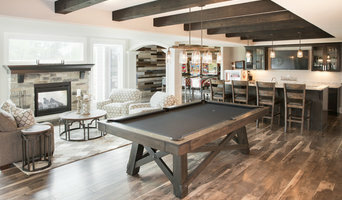 Our design and production team allow us the ability to provide quality and innovation in flooring, cladding, lumber and timbers as well as manufactured, reclaimed wood surfaces, furniture, and fixtures. Since 1977, Plymouth Furniture & Bedding Showrooms has been serving Southeast Wisconsin by offering the very best in quality furnishings for your home. Our purpose is providing quality merchandise and at the best value for our customers. We strongly believe that our personal service, product selection, and value prices are what truly distinguish Plymouth Furniture from other furniture retailers. Plymouth Furniture & Bedding Showrooms carries best-selling brands and we accommodate special orders, so that our customers get EXACTLY what they want. We take pride in our everyday low prices. No gimmicks, just savings. Products At Plymouth Furniture and Bedding Showrooms, you will find name brand furniture at a price you can afford. Our showrooms display a wide selection of furniture styles as well as area rugs, lamps, artwork, framed prints, and accent pieces. We also offer many choices in furniture made in the U.S.A.! In fact, our heirloom-quality bedroom furniture is handmade by Wisconsin craftsmen! Our upholstered products include top brands like Flexsteel, Lane, Best Home Furnishings, Fusion, Ashley, and our own Plymouth Furniture line of motion furniture. In occasional furniture we carry the brands of Sunny Designs, Wolfcraft, Mobel, Lane, Liberty, Riverside, Ashley, Leick, and All Wood. Our bedding selection showcases a wide variety of different sleep surface experiences. We carry Sealy Posturepedic Innerspring, memory foam, latex, and gel beds, as well as numerous different TempurPedic beds. Clearance Center Want to find value and name brand furniture at knock-off prices? Our Clearance Center has three large showrooms of furniture waiting for you to find that right piece of furniture at the right price. Great prices, no gimmicks! We stock what we sell and because our showroom is our inventory, you are buying your furniture directly off the floor. Need it now? No Problem! Purchase from the Clearance Center and you can take it home today! Take your time on any buying decisions. If contemporary is your style, don’t buy something traditional because it’s on sale. 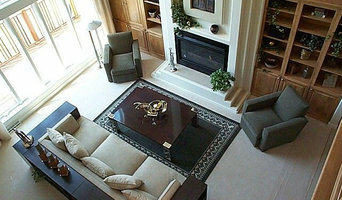 Many Wisconsin home furnishers offer interior design consultations or room planning guides to get you started. Whether you decide to work with a home decor specialist or to become your own expert, it’s important not to rush the furniture-buying process. 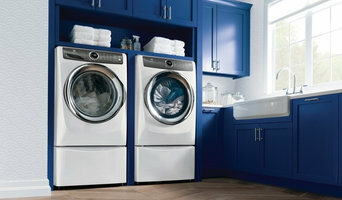 Visit plenty of Wrightstown, WI showrooms and stores so you can feel comfortable with your purchase. Find furniture and accessories manufacturers, showrooms and retailers on Houzz. Narrow your search in the Professionals section of the website to Wrightstown, WI furniture and accessories, then choose the nearest metro area for showrooms and retailers. Or you may want to look through Wisconsin photos to find designs you like and contact the furniture manufacturers and showroom galleries directly.